From mid-2019 until 2024, a total of $2M is being made available for Māori and Pasifika research from a strategic funding pool. 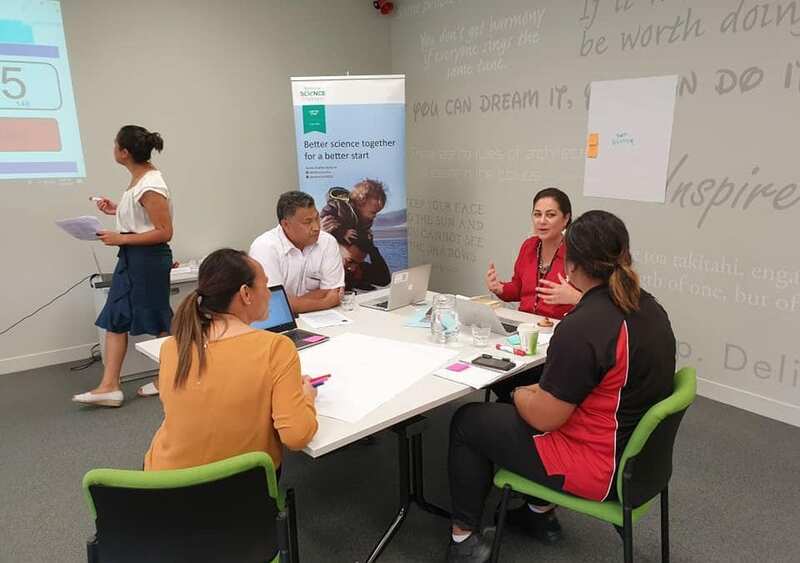 At the workshop on March 12, researchers brainstormed ideas about projects they might work collaboratively on, addressing resilience, healthy weight and literacy in Pasifika children. A Better Start Board Member Dr Monique Faleafa says being more responsive to Pasifika communities has been an aim of the Board. “We have already had some action with the creation of a Pasifika Advisory Group; and Chair Pat Snedden’s equity agenda; and the support of Moana Research – a consultancy group of passionate researchers and clinicians committed to making the early years the best start in life for all,” Dr Faleafa says. Senior Research Fellow Dr Gerhard Sundborn; the Ministry of Health’s Chief Advisor Hilda Fa’asalele; Chairperson at the Health Research Council Pacific Committee Dr Mele Taumoepeau; and Ministry of Education Canterbury Pasifika Regional Co-ordinator Mark Tulia make up the Pasifika Advisory Group. The Group provides advice to the Challenge on research, engagement with Pasifika communities and alignment with Pasifika health research. The focus on responding to the research needs and aspirations of Pasifika culminated in the Pasifika fono. “This is our opportunity to do something different for Pasifika research – to support Pasifika-led research; with a Pasifika focus and to grow Pasifika capability,” Dr Faleafa says. Successful projects should focus on families and be multi-dimensional; focus on what is already working and what helps achieve resilience, and positive impact for Pasifika communities. The National Science Challenge has a focus on equity among New Zealand’s young people, and projects which address equity will be considered. Meanwhile, a Māori workshop for researchers is being staged on March 29, in Auckland to also look at potential projects they may be able to work on collaboratively. Visit A Better Start E Tipu e Rea for updates.